Another amazing centerpiece to the MJJCollectors.com web site is our Michael Jackson Autographed Memorabilia category where you'll find nearly 700 Michael Jackson autographed items including Books, CDs, Magazines, Guitars, Photos, Posters, Records, Stationery, and Toys...all signed by the "King Of Pop" Michael Jackson! You'll find autographs from when Michael was a young member of the Jackson Five (like this signed Jackson Five photo). when he was lead singer of The Jacksons (like this signed photo from 1976, autographed by Michael and all of The Jacksons), to Michael Jackson's extensive solo career, including this signed Invincible CD which was signed during an autograph session in 2001 at Virgin Megastore in New York. 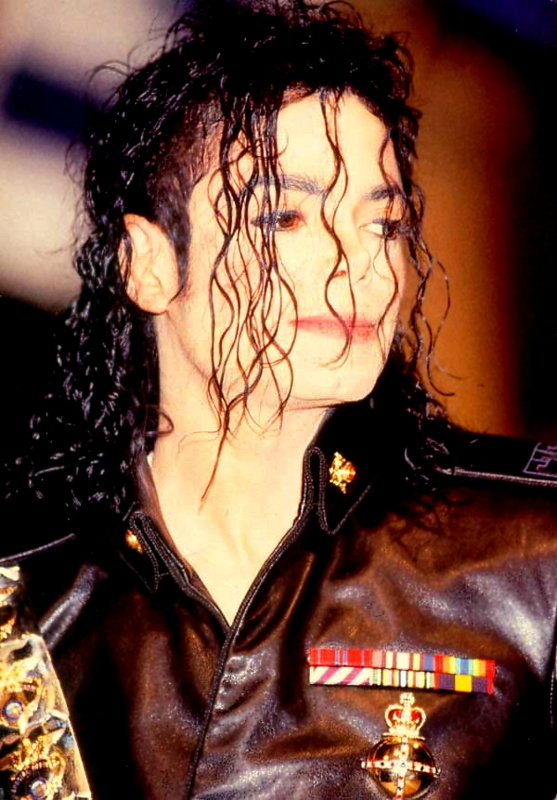 During this particular event, Michael Jackson spent hours signing autographs and posing for pictures with fans. MJ wasn't shy about signing his name on just about anything, and you'll find that instantly recognizable "Michael Jackson" autograph on anything from baseballs to boxer shorts! Be sure to also browse the Clothing category where you will find dozens of Michael Jackson signed fedoras, shirts, jackets, hats, shoes, and more! Among the most sought after signed collectibles are the famous black "Billie Jean" fedora and the white "Smooth Criminal" fedora, which are worth several thousands of dollars each when personally autographed by Michael Jackson! But beware of fakes...just because a signed fedora bears the "All My Love Michael Jackson 1998" autograph (often in gold or silver ink), doesn't guarantee it is an authentic one, even if it comes with a "Certificate of Authenticity". You should be careful of buying any Michael Jackson signed items on the internet (especially if you find it on Ebay or from an unknown seller)! Make sure you do your due diligence and know the exact provenance (origin) of any Michael Jackson autographed memorabilia. You can visit the Collecting Tips section of our site for some valuable resources on this subject. And you can always email us and we will let you know our professional opinion if any particular piece of Michael Jackson signed memorabilia is authentic or not. Collecting Michael Jackson autographs is fun, but it can also be very dangerous and expensive if you don't invest your money wisely!